Recently, I was interviewed by the San Francisco Chronicle on the ‘Sarah Slocum’ phenomenon. Now, I am getting a flurry of emails accusing me of supporting Sarah Slocum. 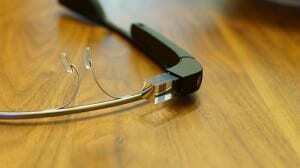 Let’s be clear: I do NOT support Sarah Slocum; I do NOT support Google Glass. I am merely commenting on the Internet / social media aspects of this issue. Jason McDonald, an Internet marketing consultant at JM Internet Group in San Jose, said Slocum’s emergence comes as the public is looking for something tangible to latch onto in the debate over Glass. Our need for privacy in public spaces; vs.
Our ever-increasing use of Internet gadgets like cell phones; vs. I can’t say, and I’m not saying. I am NOT taking a position on that issue. As an expert in Internet social media, I am merely pointing out that she is the ICONIC MEME of the moment, the FLASH POINT on this issue.